Every patient is different, therefore ERKA. 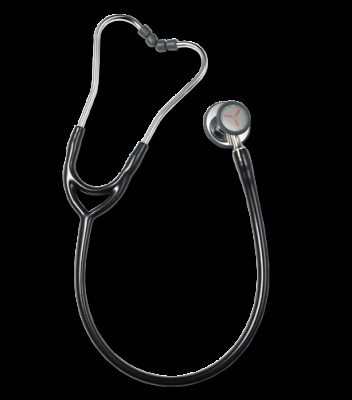 has built a stethoscope that supports the physician in almost any patient situation. The reversible, combined chest-piece has two membrane sides, each making the full frequency range perfectly audible. The large membrane is suitable for auscultation of adults and the small side is particularly suitable for children or thin patients.